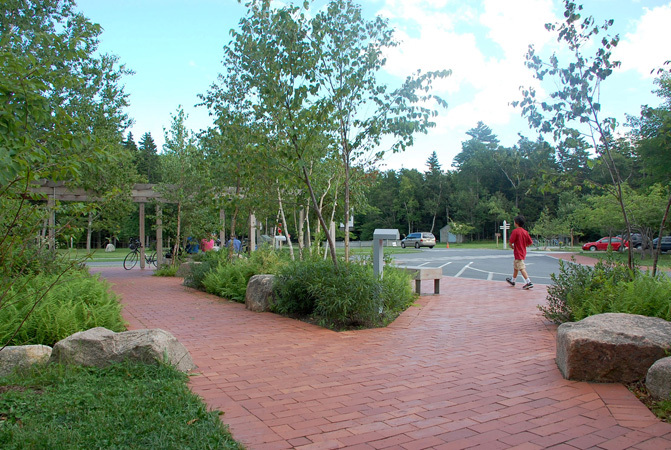 Circulation Circulation problems and vehicular congestion long plagued the Jordan Pond House, one of Acadia National Park’s most popular destinations. 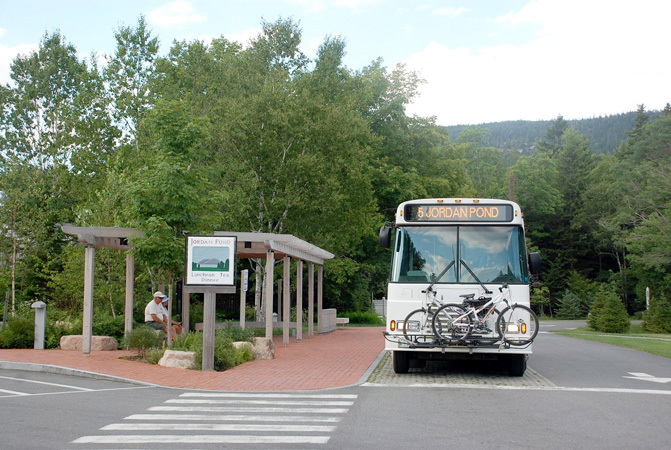 Bus and auto traffic became mired in a small driveway loop close to the restaurant entrance. 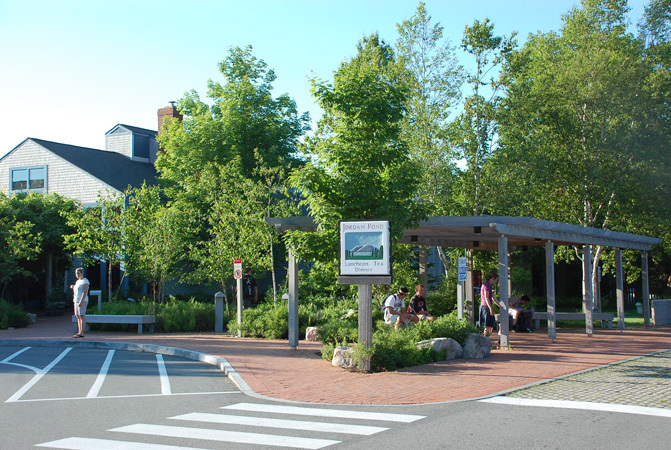 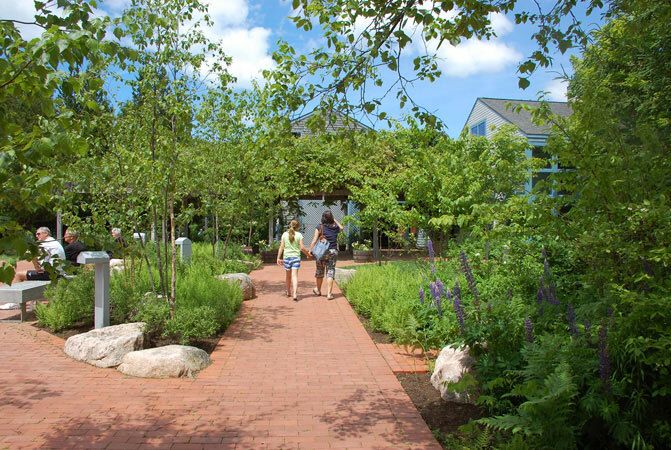 The design greatly improved the entry experience by separating bus and auto traffic and by extending a landscaped pedestrian plaza, created a new transit stop for the Island Explorer, the award-winning free shuttle system that connects Acadia National Park and the local communities. 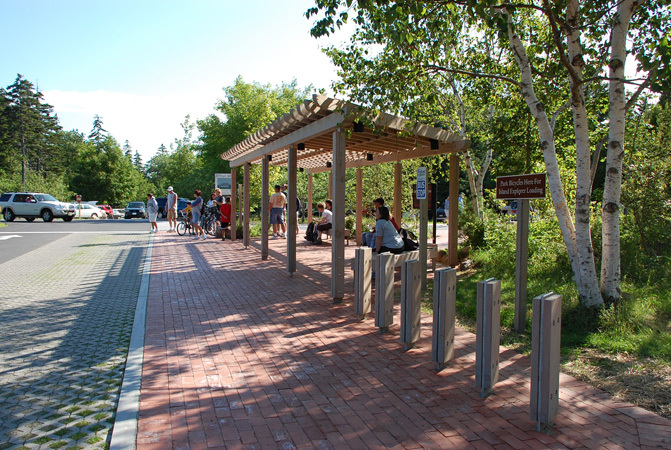 The plaza features native landscaping, a pergola to shade waiting passengers, seating and bicycle stands. 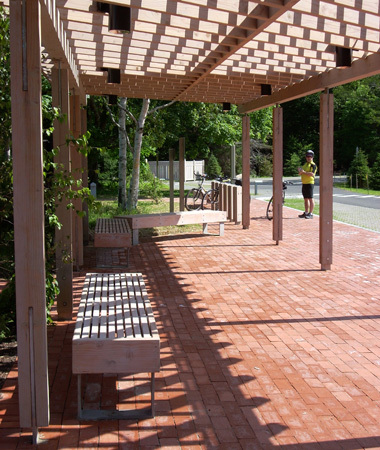 The new pergola complements an existing trellis at the entrance to the restaurant and creates a definitive entry for transit passengers. 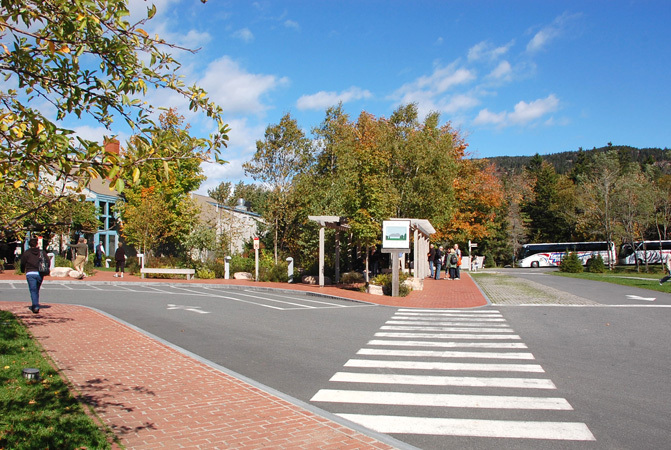 Tour and local sightseeing buses are accommodated in proximity to the plaza outside of the flow of traffic. 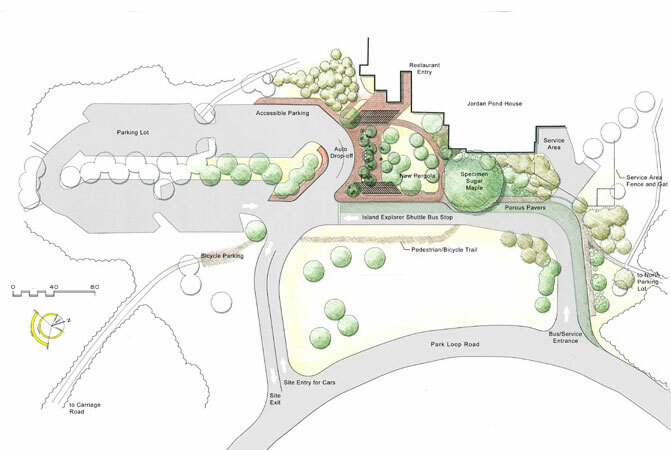 The plan also addressed connections to area destinations and effectively screened the restaurant’s visible service area.